If You’re a Public Speaker, Salesperson or Anyone Who Uses Their Voice Professionally, These Helpful Hints Are for You, Too! Whether you sing professionally, deliver frequent public speeches or make your living selling on the phone or in person, your voice is your most valuable professional commodity. And like a tender love song, it should be nurtured with warmth, care, respect and affection each and every day. 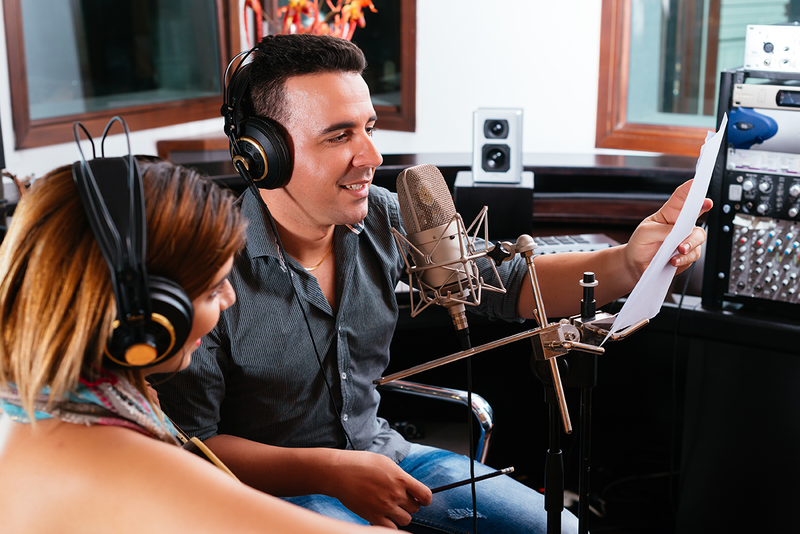 According to a wide array of vocal coaches, performers and health authorities, there are several essential guidelines you should follow in order to protect, enhance and preserve your voice. Some of these guidelines are obvious (don’t smoke! ), but some may be news to you (try combining raw New Zealand Manuka Honey with tea!). Get lots of sleep, drink a good amount of water (keeping your vocal cords moist is key and water is still better than any sprays or manufactured products), and by all means, exercise. Smoking is to be avoided at all costs since it irritates and dries the throat; alcohol and caffeine also dry the throat so cut down or eliminate them from your routine as well. Vocal cords can be easily irritated if you venture in and out of different climates (dry, hot and cold). Keep a cool mist vaporizer about two feet away from your nose during sleep. Give your voice a rest now and then. As mentioned, many people who rely on their voices for a living rely on honey to help keep those voices in top condition. The reason is simple: raw honey eliminates different strains of bacteria; is high in such essential nutrients as iron, copper, manganese, calcium, potassium, sodium, phosphorous and magnesium, and can help decrease swelling in the throat. No less a singing star than Mariah Carey has said (on TV’s “Entertainment Tonight”) that she adds honey to beverages to ensure that her voice is properly hydrated. In addition to jarred raw honey, anyone interested in soothing their vocal cords should check out two popular products from Pacific Resources International (PRI): Propolis & Manuka Honey 10+ Oral Spray, which combines Active Manuka Honey, peppermint, and flavonoid-rich bee Propolis with essential oils of aniseed to provide a refreshing oral hygiene spray and breath freshener. Just honored with a Best of Supplements Award from Better Nutrition magazine, PRI Oral Spray helps eliminate odor-causing bacteria and features natural herbs and spices expertly blended to ensure maximum freshness and effectiveness. Also recommended is PRI’s Lemon & Honey Lozenges, which combines the power of CPL 15 Propolis with the soothing qualities of pure New Zealand UMF 10+ active Manuka honey. If you do decide to soothe and protect your voice with Manuka Honey, remember that not every product out there is authentic. Indeed, many so-called Manuka Honey products are in fact packaged outside of New Zealand to bypass NZ regulations, the precise reason Pacific Resources International (PRI) has always cited the name and address of the New Zealand beekeepers where its honey is packed, along with a batch number. Convinced now that Manuka Honey can help you keep your voice in peak form? Then perhaps you’d like to try out this recipe for “Immune Tea” by Georgia Harding on the WellNourished.com site. Enjoy! Pour the boiling water over the ginger, turmeric, and optional coconut oil. Let it sit for a few minutes before adding the zest and juice. Add the Manuka Honey then simply sip yourself well.